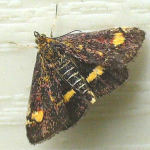 Walls, fences and hedges – the boundaries between our properties – are not barriers to pollinators. 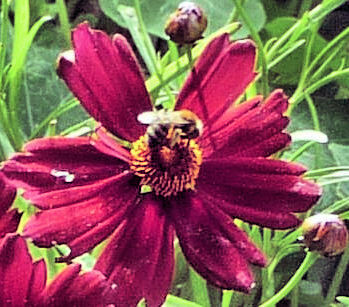 A bee going from flower to flower will take no notice of the fence that stands between them, separating two gardens. But when the second garden is concrete, or its flowers have no pollen or nectar, pollinators have no reason to visit. Our most important pollinators, the honeybees, are in trouble. 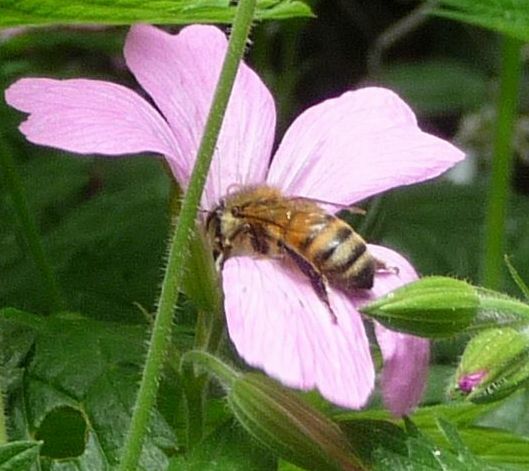 Beekeepers are dealing with ‘colony collapse disorder’ and a parasite, the varroa mite. 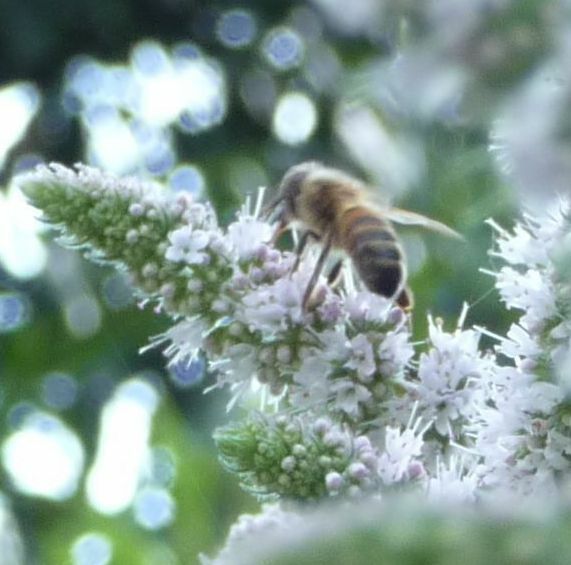 Chemical pesticides used in gardens and countryside leave honeybees disoriented, unable to remember where they are & forgetting the way back to their hives. 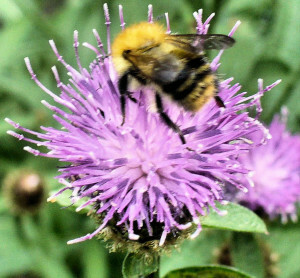 Bumblebees too are in trouble, with numbers declining. 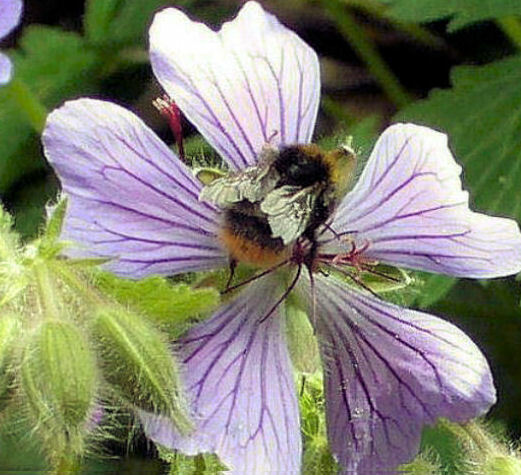 If plants in our gardens or windowboxes attracted honeybees, bumblebees and other pollinators, drawing them along a virtual river of wildflowers (see Bees Favourites pages for some suggestions) we could be working together to get Britain buzzing again. Wherever you are, if there are birds, bees, or butterflies flourishing near you, it should be possible for you to plant something that will bring them into your windowbox, onto your patch. Planting lists from THE POLLINATOR GARDEN will, we hope, be used by those in charge of parks and gardens as well as gardeners. 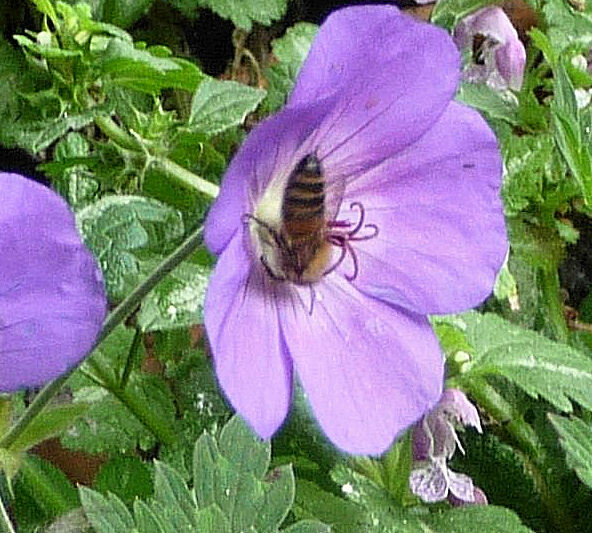 We can all choose wildlife-friendly plants that offer the most pollen and nectar to our bees. 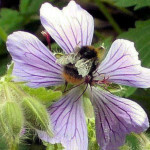 The BBCT is a small charity working to raise public awareness about the plight of UK bumblebees. 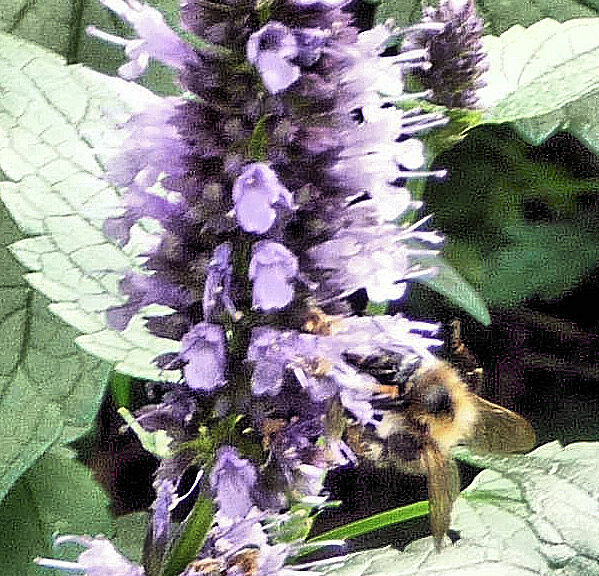 With its members and volunteers, the Trust examines the dangers facing our bumblebees and creates strategies to help them. 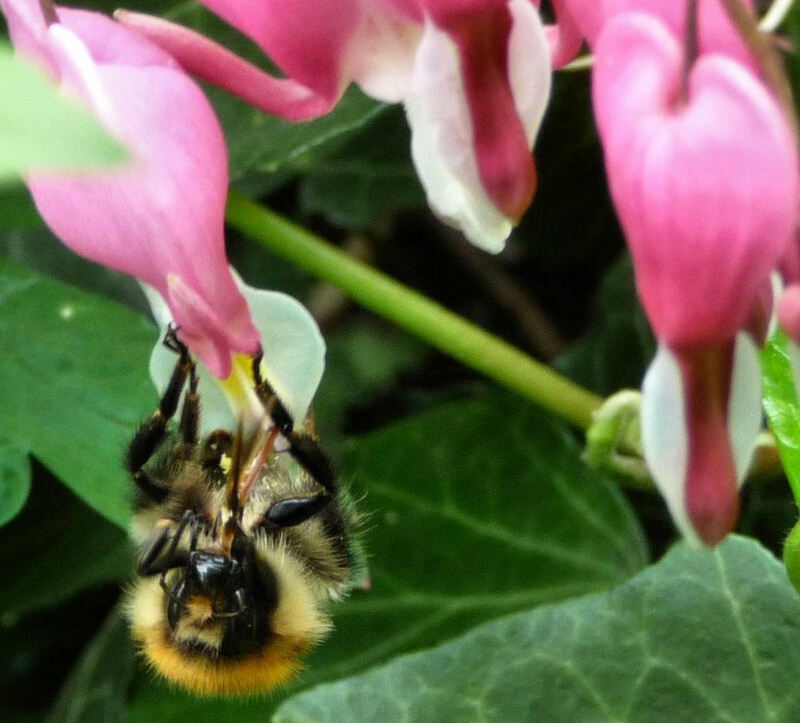 BBCT supports a “future in which our communities and countryside are rich in bumblebees and colourful flowers, supporting a diversity of wildlife and habitats for everyone to enjoy”. Author & scientist Prof. Dave Goulson founded the Trust after discovering a link between bumblebee deaths & Nicotine-based pesticides (Neonicotinoids or Neonics). 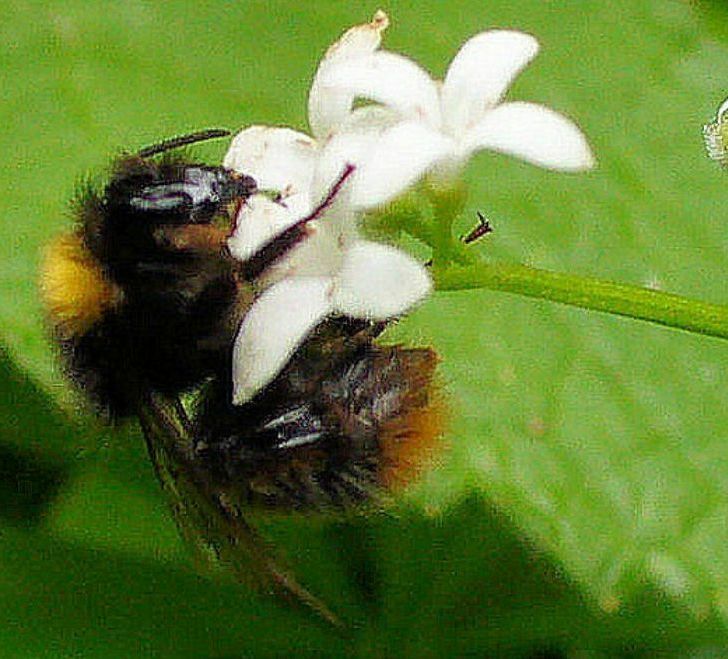 Bumblebees visiting flowers treated with these toxic substances become confused, losing the ability to find their way back to their nests. Neonics were banned for two years by the EU in December 2013. 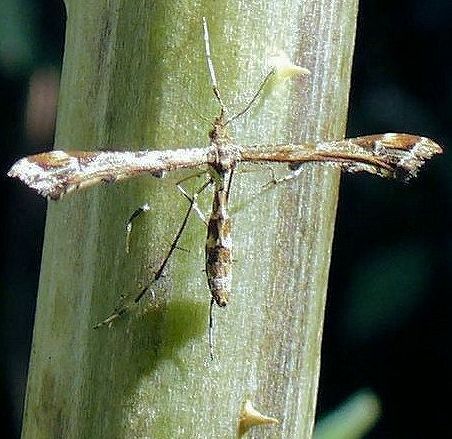 The UK Government disputed the scientific findings; those calling for a permanent ban include The RSPB and The Soil Association. 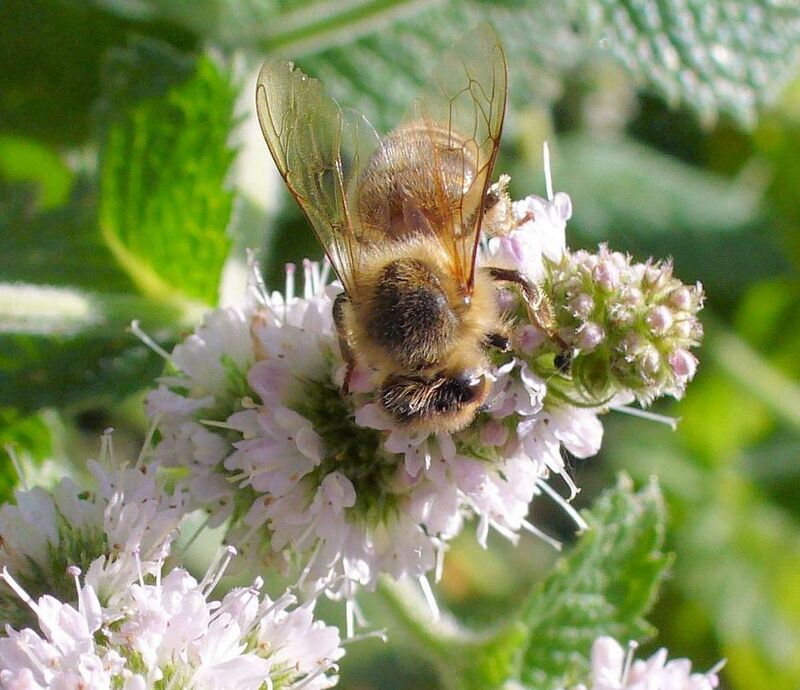 In this innovative biodiversity project, 260 UK schools & a growing number of community groups & individuals are helping pollinators. 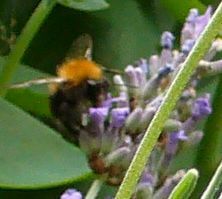 Secondary & Primary school pupils are surveying their school grounds or garden to learn what pollinators need, making sure there is plenty of food & shelter. 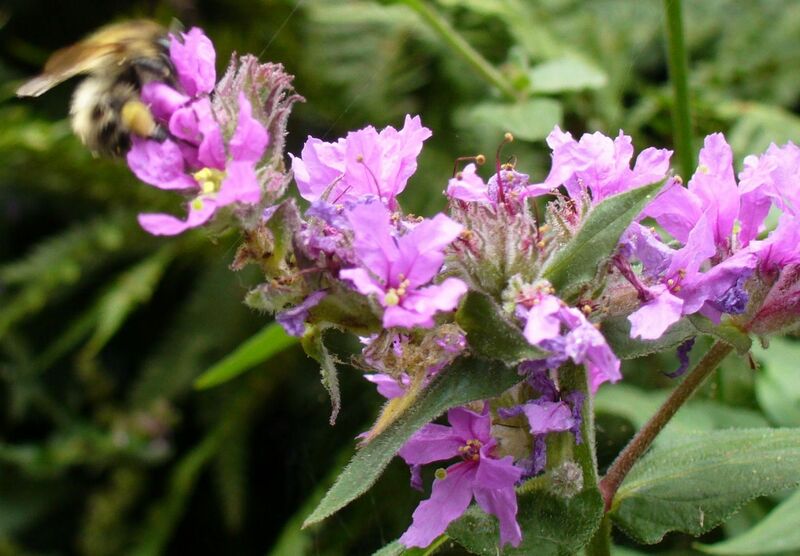 Young people have been making school grounds into pollinator havens – creating vertical green walls & night-blooming flower beds, debating pesticide use & lobbying to change school maintenance regimes. BBCT is involved. The project, developed by the charity Learning through Landscapes (LTL)*, is funded by the Heritage Lottery Fund and is being evaluated by Stirling University. On the LTL website, Sir David Attenborough argues against schools sacrificing their outdoor spaces to cope with the sharp rise in pupil numbers. Over 2,700 UK retailers have registered with this site to raise funds for BBCT. When you shop online, (for groceries, train tickets, hotel rooms and more) retailers from Apple, Argos and Amazon.UK to Waitrose donate a percentage of what you spend to the charity. Go to http://www.easyfundraising.org.uk/invite/2P51H7/ & click to sign up. Look through the easyfundraising website, choose a retailer & click on your purchase. The retailer will give you a cash reward that easyfundraising turns into a donation for BBCT, as well as an extra £1 from your first donation at no extra cost to you. 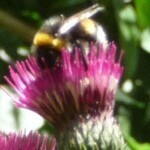 This was how one creative individual chose to raise public awareness about the plight of UK bees. 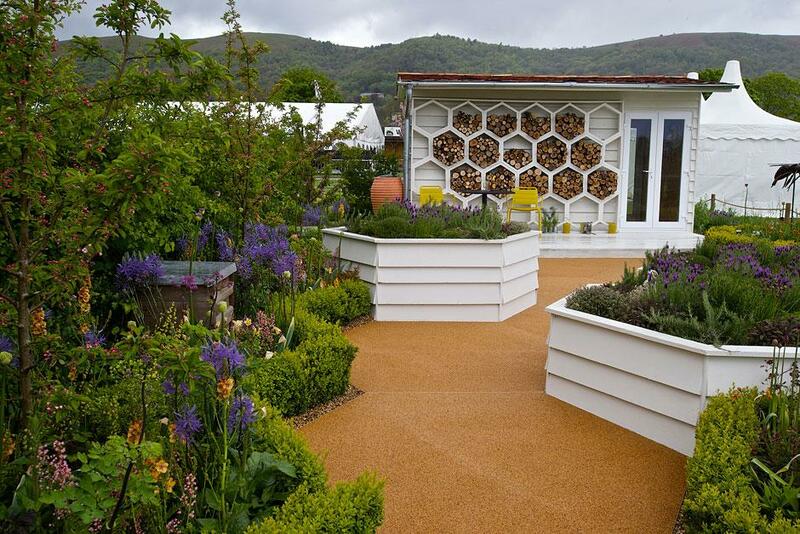 For the 2015 RHS Malvern Spring Festival Garden designer & RHS Silver Medal winner Martyn Wilson created a show garden, THE ‘BEE’S KNEES’ in support of BBCT. 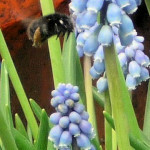 The garden’s design, with bee-friendly plants in hexagonal beds, was inspired by the honeycomb. 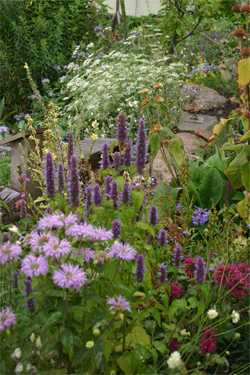 It won Silver Gilt at the show & featured on Gardener’s World. You can help to make sure that these charismatic creatures are around for future generations to enjoy by becoming a member. The BBCT is ten years old, and now has over 10,000 members. 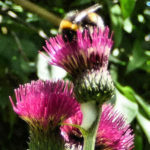 Each membership helps the Trust create & restore wildflower habitats, raise awareness about bumblebees & support BeeWalk, the national citizen science project that surveys bumblebee populations & encourages bee-friendly gardening across the country. 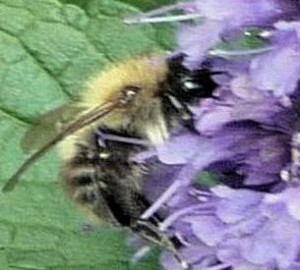 Before London 2012’s Olympic games, gardener and writer Sarah Raven urged the public to help stop the decline in pollinators & get Britain buzzing again by planting a River of Wildflowers. Sarah, known for her work at Sissinghurst & appearances on BBC’s Gardener’s World, appears in clips from her series Bees Butterflies and Blooms on the BBC2 website as meadows are sown for the new Olympic park. 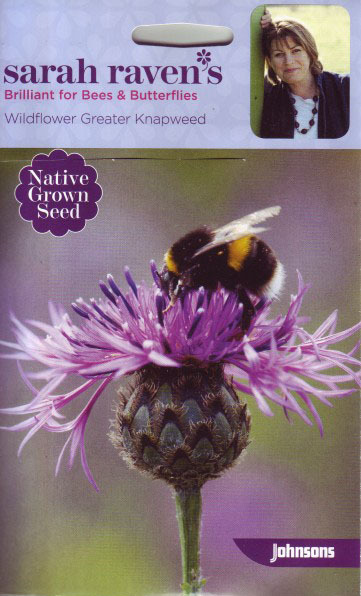 Three meadow wildflower mixes were trialled & the best chosen for longest flowering & pollinator attraction. 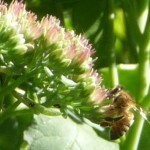 Sarah’s campaign to increase pollinator numbers began at her cutting garden at Perch Hill Farm. She persuaded a neighbouring farmer to leave a strip of his land for wildflowers. Pollinators visiting Sarah’s wildflowers can now cross over to the new farm strip as though flying up a river, a river of wildflowers. Visit Sarah’s website for inspiration. 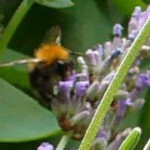 You can order books, plants & seeds, sign up for a course or arrange to receive her newsletter. 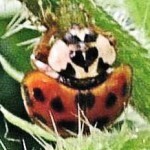 Buglife is a small charity that campaigns to protect bugs & the environment. It involves people in conservation action, learning about & enjoying bugs. 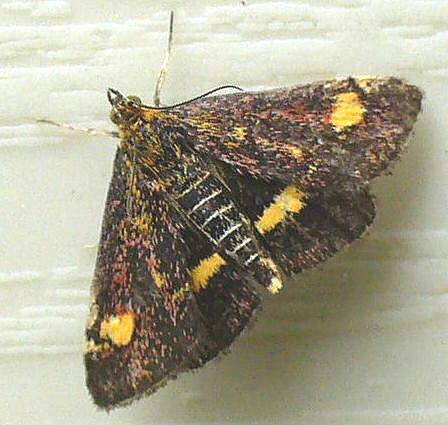 One in three mouthfuls of our food, including tomatoes, honey, chocolate & coffee, depends on insect pollination. Bugs are vitally important to a healthy planet. Humans & other life forms couldn’t survive without them. 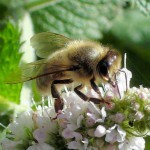 The crops that fed our ancestors were pollinated by a rich pallette of buzzing insect. Their future health is now in our hands. GET BRITAIN BUZZING / A Manifesto for Pollinators came out in March 2014 & is on the internet. 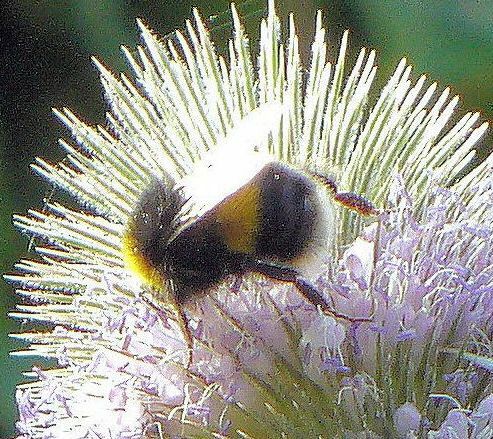 It gives details of the problems facing pollinators & what needs to be done to tip the balance back in favour of biodiversity. 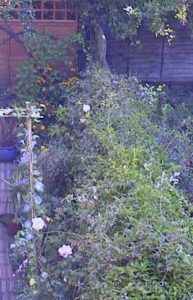 Its suggestions are for local authorities, council planning departments, parks & gardens – & for Government. Green roofs, B-lines & rain gardens will not be enough if it is only the country’s gardeners who respond. Read the Manifesto yourself &, if you have any influence over someone with influence – get them to read it & urge them to act on it. 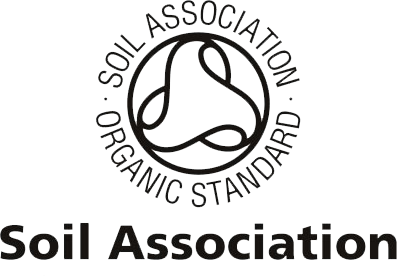 The Soil Association is a UK-based charity that campaigns for healthy soil, healthy people and a healthy planet through organic food and farming. 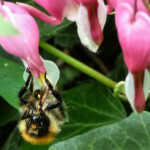 Soil Association campaigns: Save Our Soils, Not in Our Bread (the pesticide glyphosate has been turning up in our bread), Save Our Antibiotics, Stop Genetic Modification, Labelling Matters, Out To Lunch, Ban Neonics. Dave Goulson’s piece ‘The Toxic Bouquet’ is one of the blogs on the website. Visit the Waitrose website to see their policies on genetically modified food, fair trade, palm oil and more. 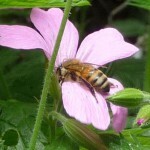 To support British bees, they avoid the use of neonicotinoids in the production of the food and drink that they sell. 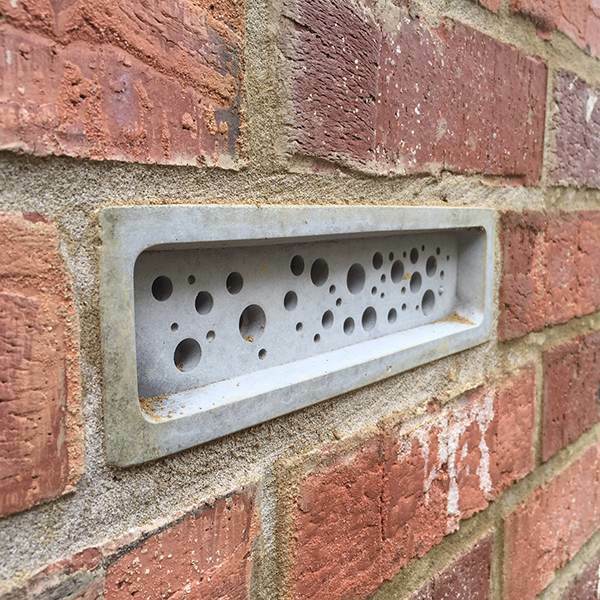 Waitrose Garden is selling a new innovation, the Bee Brick, to provide homes for solitary bees. 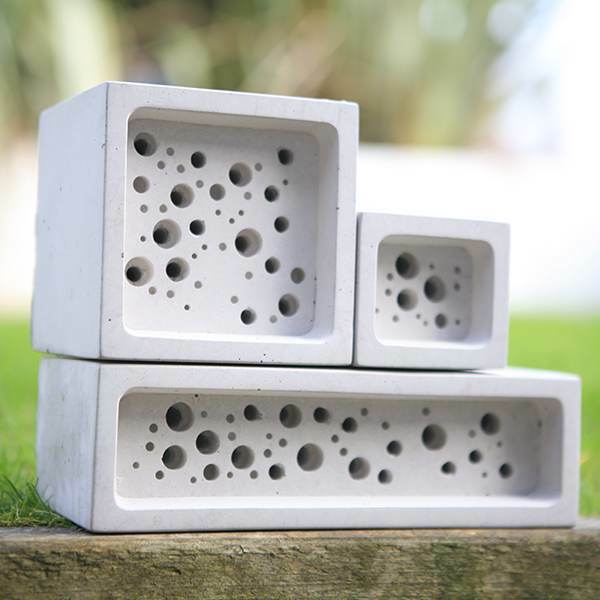 ‘The bee brick is an innovative new product which has been designed to provide a manmade nesting site to support the declining solitary bee population. 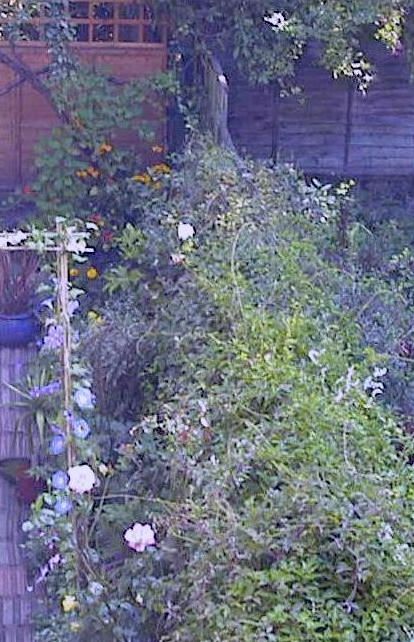 Whether positioned as a freestanding bee nest in the garden or allotment, or as an integral part of a building, the bee brick provides additional habitats for bees in spaces where they may otherwise have been forced out. Each bee brick contains cavities for solitary bees to lay their eggs. Each cavity is moulded part way into the brick ensuring bees cannot enter the building. Bees lay their eggs inside the holes and seal the entrance with mud or chewed up vegetation. 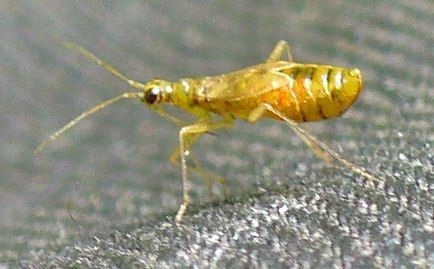 The offspring emerge the following spring and begin the cycle again. The bee bricks and blocks are designed and made by Green and Blue in Cornwall from polished cast concrete. They should be positioned in a warm sunny spot, preferably south facing, with no vegetation in front of the holes, ideally at around 1 metre from the ground. On the internet, Sainsburys have full instructions on how to make your own bee hotel for solitary bees.